The Morrison Boardroom is our most intimate Hotel meeting room in Dublin and contains original features from the Georgina era. It is a south-facing room overlooking the river Liffey which is naturally illuminated and is incorporated into the Georgian wing of the hotel. The Morrison Boardroom features a dark wood board table seating up to 8 delegates and the chairs are comfortable cherry red leather office chairs. 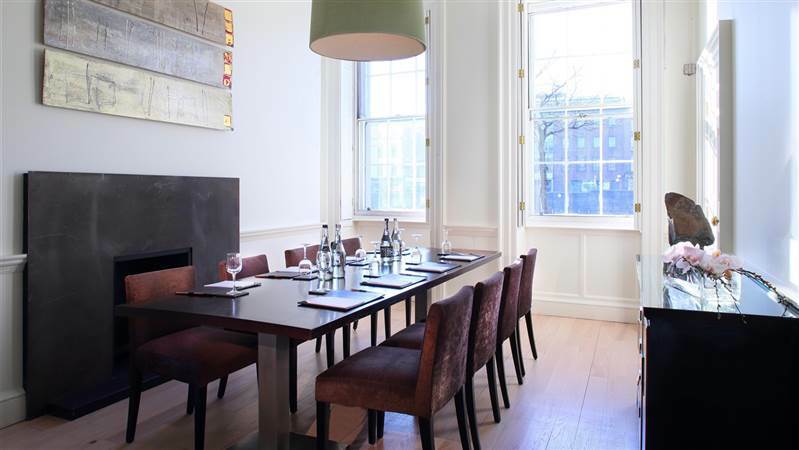 The fire place, wooden floors and the Clea Van der Grjin painting add special touches to this corporate boardroom. 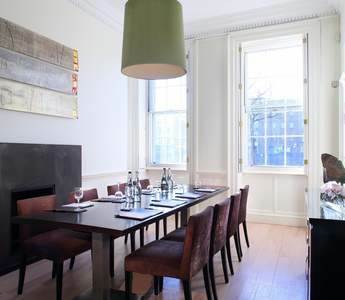 This unique and stunning Dublin Hotel room is ideal for smaller functions such as meetings, board meetings or interviews.